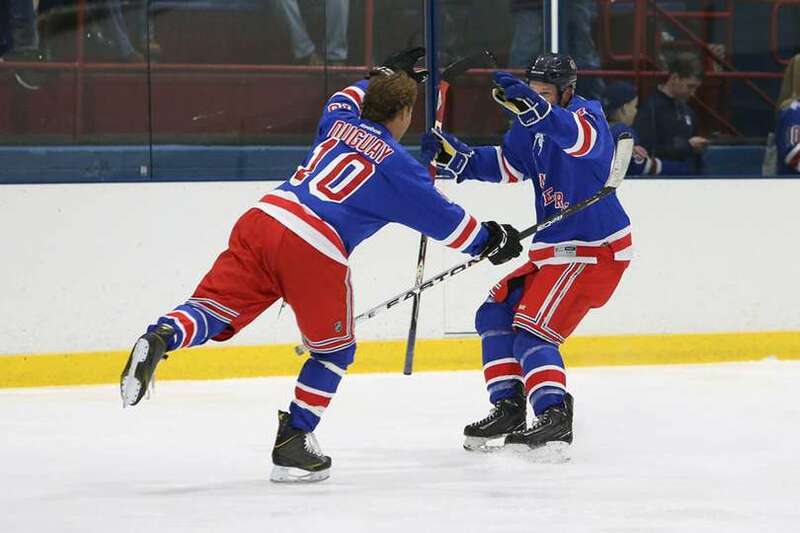 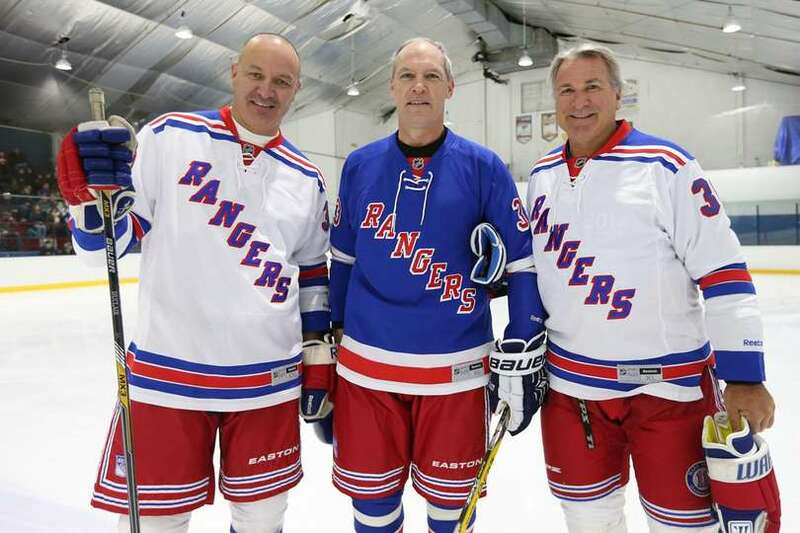 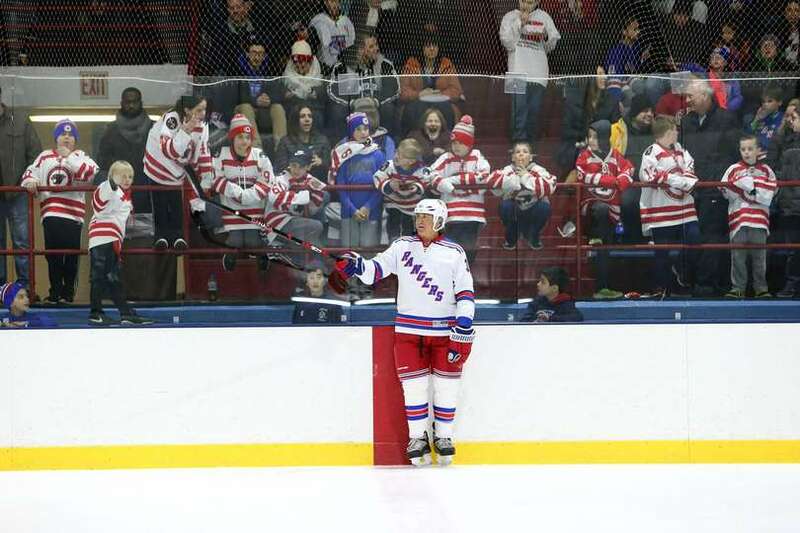 The New York Rangers and the New York Rangers Alumni association are teaming up to increase access to the game of hockey by bringing a fun and exciting Alumni Benefit Hockey game to 501 (c)(3) Tri-state area youth hockey organizations. 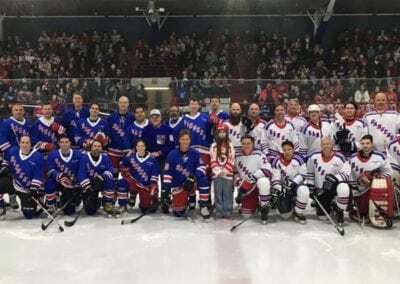 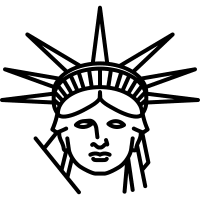  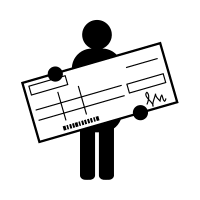 Proceeds from each event support the 501(c)3 organizations by providing scholarships, learn to play programs, equipment, arena upgrades and more. 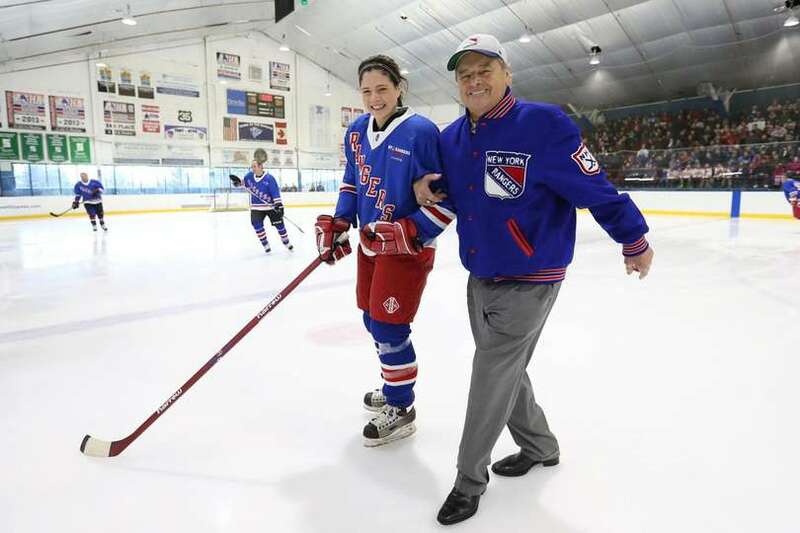 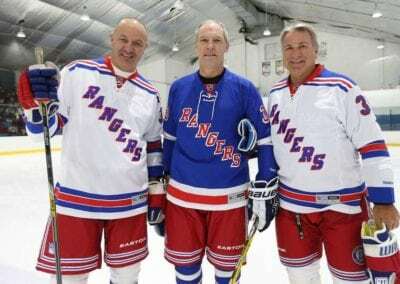 Get closer to the action then ever before as each game is held at hockey rinks in your community..
Each game to offer the opportunity to meet New York Rangers Legends at the post-game meet & greet. Space is limited. 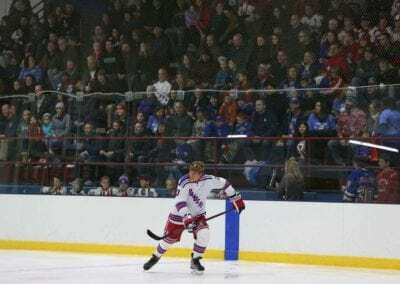 From Stick Kid to Bench Coach to Seats in the penalty box, each game offers unique experiences for Rangers fans of all ages to enjoy. 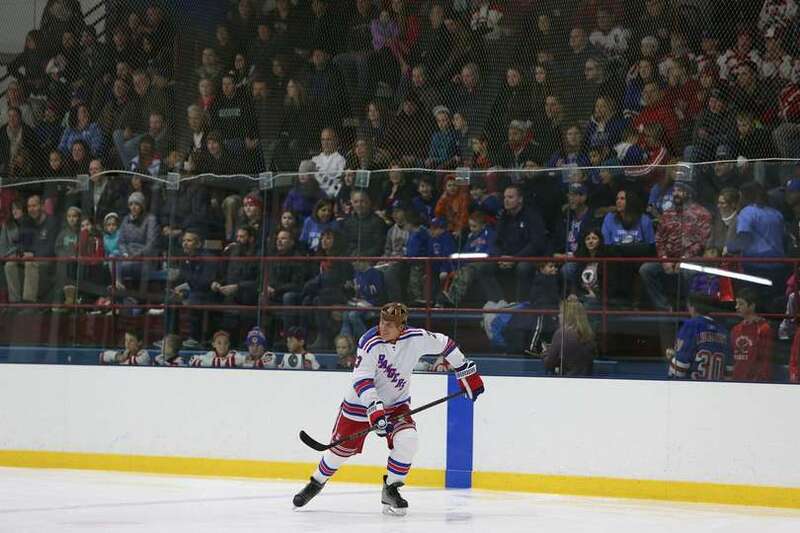 Enjoy all the perks these benefit games have to offer, while supporting great local causes.